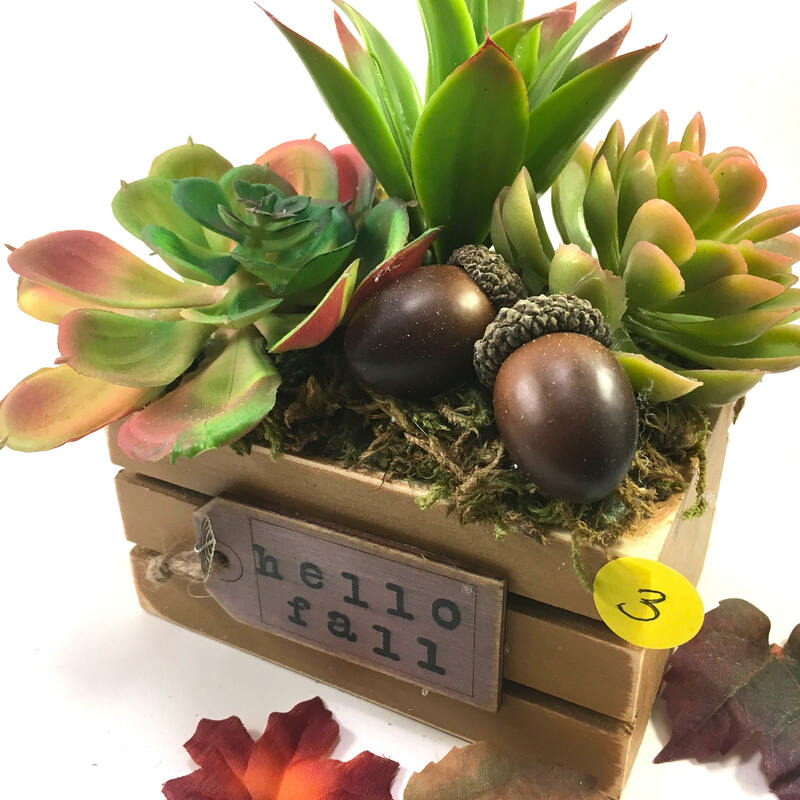 Autumn is my favorite time of year! 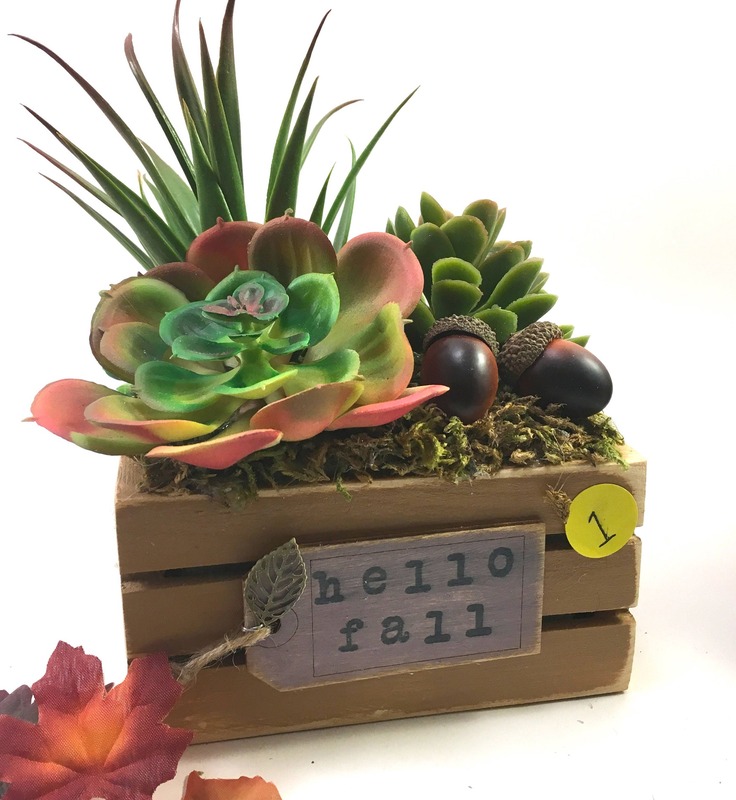 I love the beautiful colors! 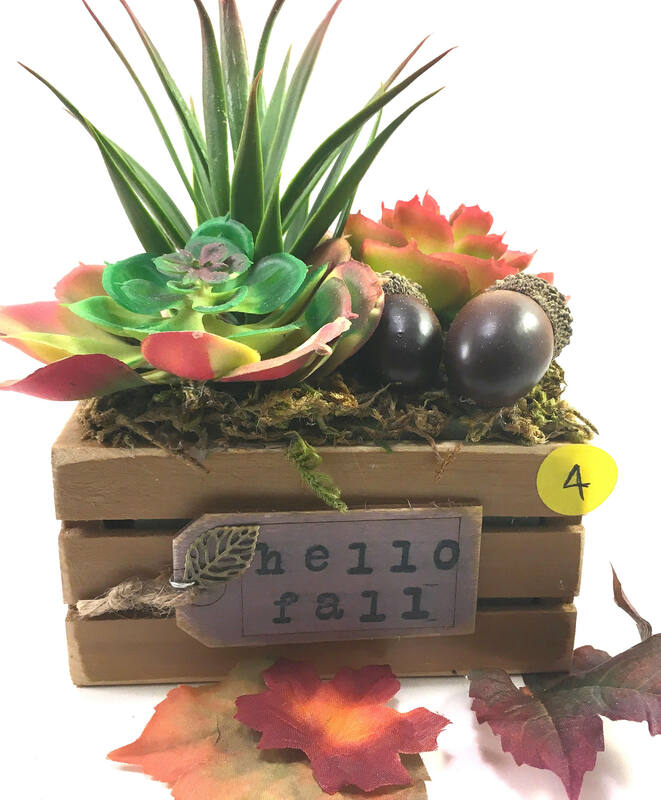 The harvest reminds us of how thankful & grateful we are to be blessed so abundantly. 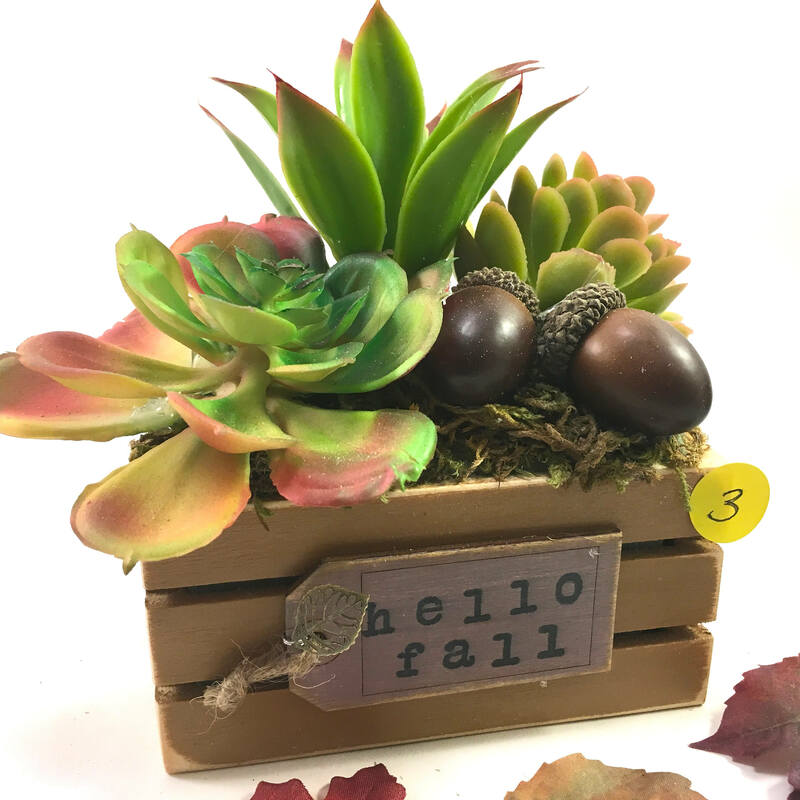 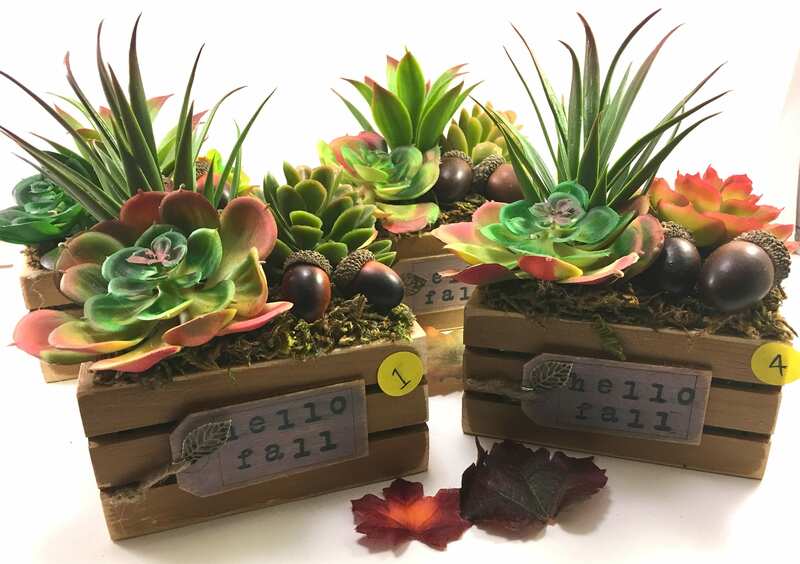 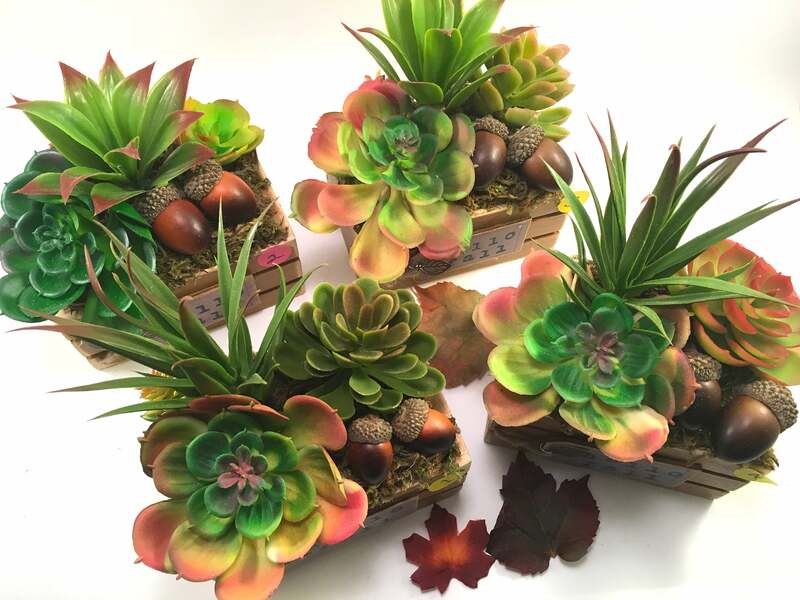 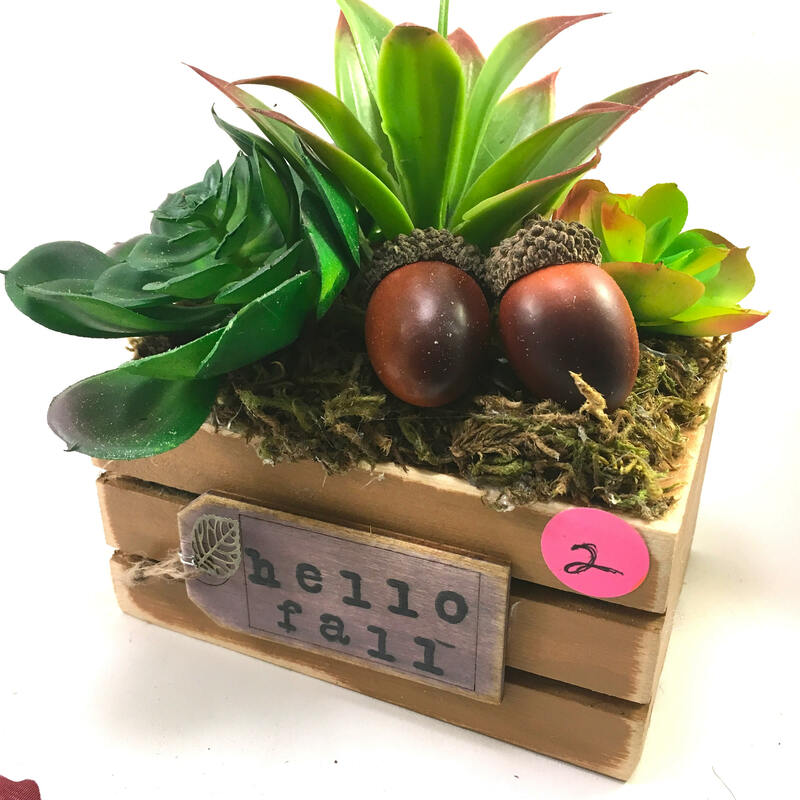 These chalk painted and distressed small wooden crate baskets filled with faux succulents are a small reminder of what we have been given. 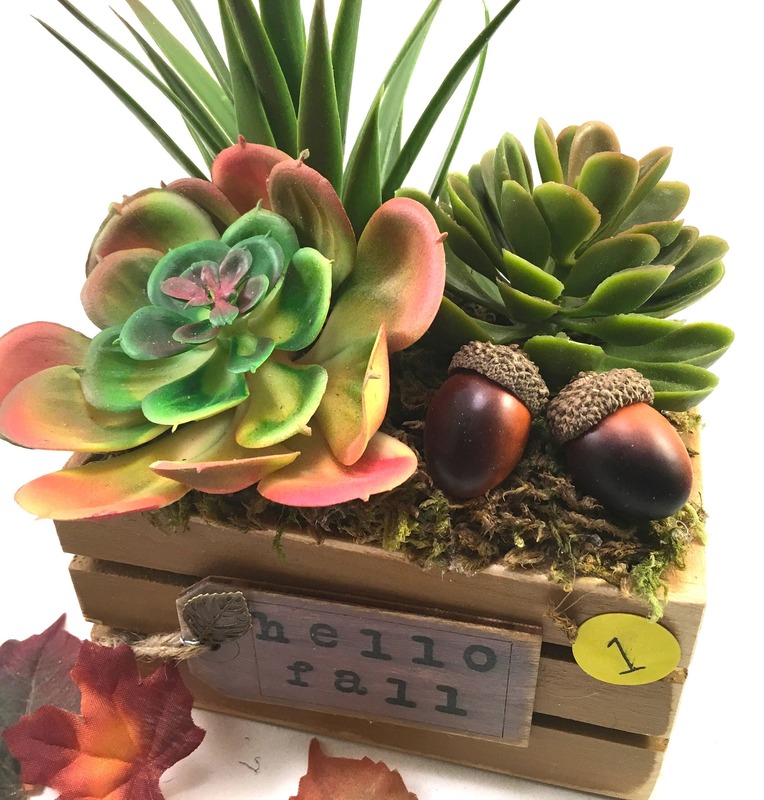 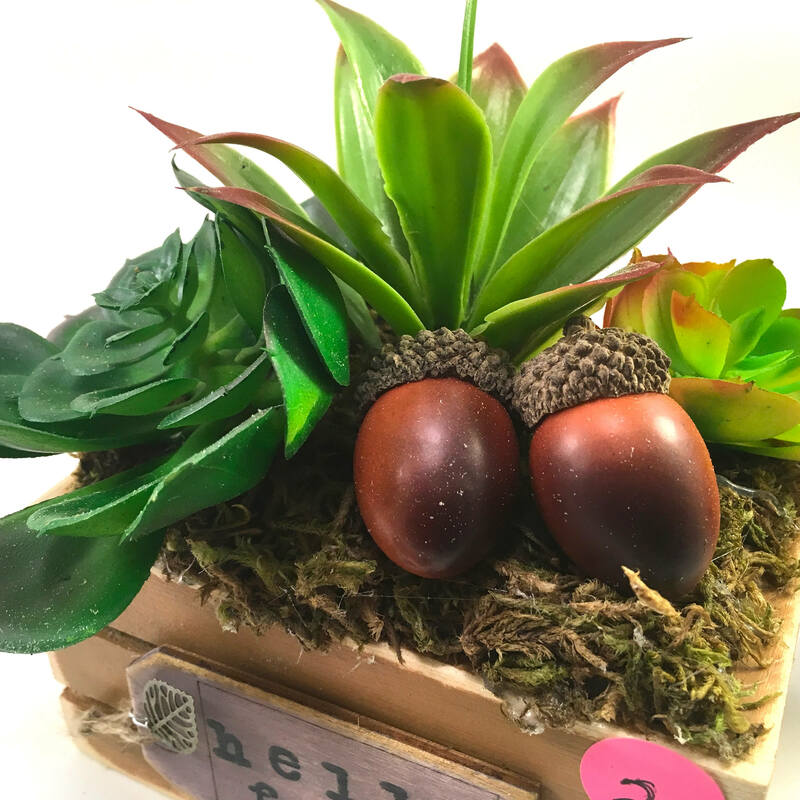 Faux acorn accents celebrate the Fall season. 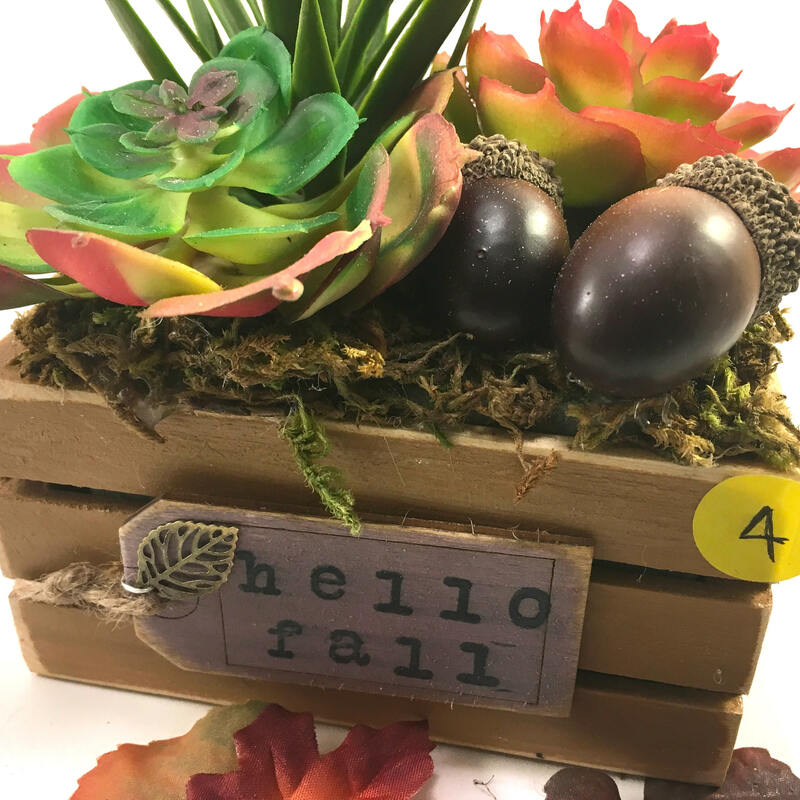 Wood tags with bronze leaf charms and the message 'hello fall" are a sweet decorative accent.